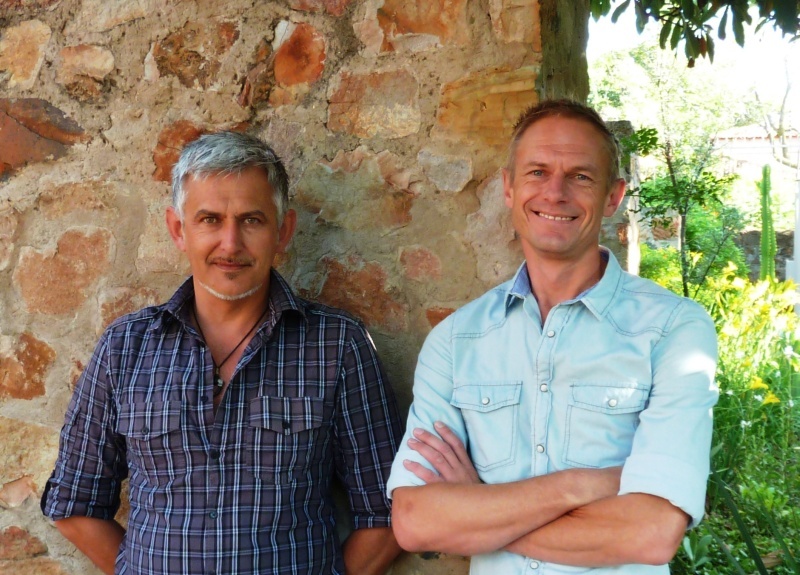 Since André Mellet & Willem Human decided to combine their creative talent and start their own venture in 2000, they have made a name for themselves, most notably in the upmarket residential sector. The duo has done projects throughout South Africa, abroad in Mozambique, Florida and Tennessee in the United States, as well as a rural home in Israel. The influence of three Brazilian architects, Isay Weinfeld, Studio MK27 and Oscar Niemeyer, can often be seen in their designs, specifically in terms of simplicity, bold shapes, the use of colour and architecture that recognises context and climate. Cognisant of the importance of longevity, Mellet & Human Architects do not pay much attention to trends, so WALLS & ROOFS caught up with them to find out more about their sober approach to interior finishes. Natural stone cladding at the entrance of a home. 1. What are some of your main considerations when specifying wall finishes? – The architectural style and theme of the project. A modern design, for example, will dictate a cleaner look than a rustic, traditional design. – The taste of the client, as well as degree of experimentation the client is prepared to allow regarding finishes. 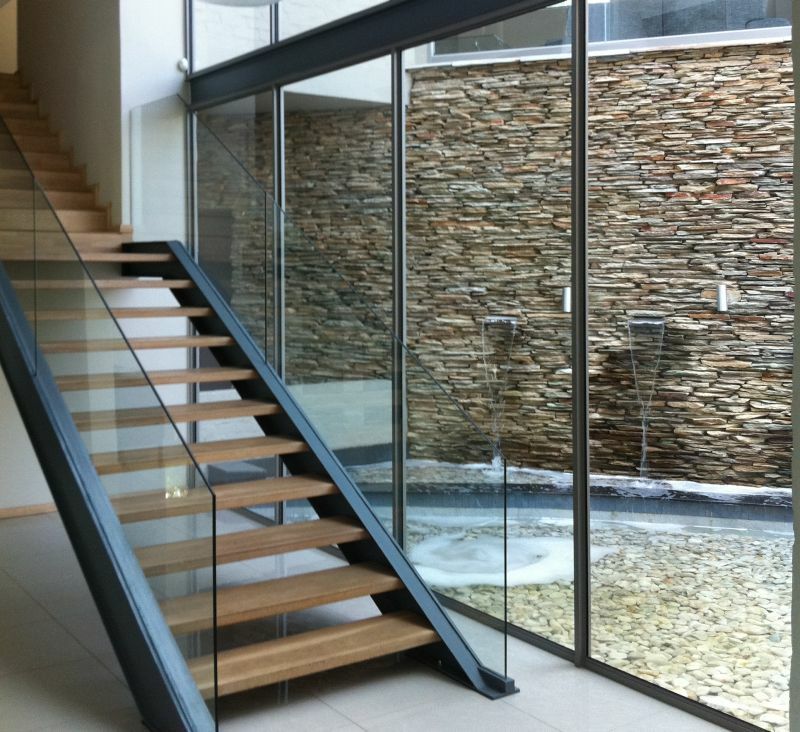 – Functionality of the specified wall finishes to the application. A bathroom, for instance, has different criteria than living rooms, therefore the wall finishes are often influenced by the function of the room. – Maintenance of the applied wall finish. – The visual impact that is desired. Focal walls are usually treated in a colour or finish that will emphasise the look of the surface and draw attention to it. – Light quality of the interiors or rooms. Darker interiors might be treated with a lighter surface in order to create a sense of space. – The cost and budget allowed for finishes obviously has an influence on the choice of finish. – The timelessness of the wall finish, which can minimise replacement and ensure longevity of the applied finish. 2. Does acoustics and thermal comfort play any role in your decision? Acoustics might, depending on the function of a room. A home theatre, for example, requires certain acoustics to ensure the success of the room. To us, thermal comfort is not so important as far as wall finishes are concerned, but is more influenced by the thermal properties of the structure itself, including the walls, floors and roofs. 3. What is your approach to colour and texture? Texture can create visual interest through shade, as well as the play of natural and artificial light on the wall surfaces. – Flush jointed brickwork, either exposed or painted. – Wallpaper: Textured and patterned. – Exposed concrete in shades from light to dark. Concrete can also have patterns as part of the design, and can be created in panels of different sizes. – Smooth plaster: Usually interest can be added by the use of different colours on the walls of a room. We like to paint at least one wall in a room in a focal colour. – Mosaics: Pictures can be fashioned by using mosaics, and it creates points of interest. – Cladding: Cladding can be done in natural stone, wood panelling or aluminium wall panelling. 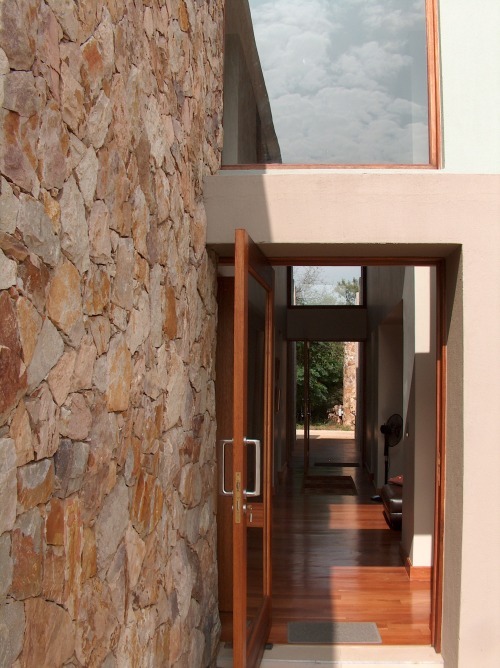 We are also very interested in the effect and colour of rammed earth walling, as well as its low maintenance, and are considering introducing it in a design that we are currently busy with in Pretoria. 4. Any new type of wall finish that you have used recently? We have specified Dekton® aluminium cladding on a new project in Midstream. We like it that the panels are sleek, but with a very natural aged rusty effect. 5. What kind of ceiling finishes do you prefer? We like to create levels through recessed or protruding bulkheads. Depending on the design, we also like to paint walls and ceilings the same colour. This creates continuation of all the surfaces, and can generate a sense of space. Full thanks and acknowledgement are given to Mellet & Human Architects for their participation in this Q&A and the photos supplied. Willem Human and André Mellet. Caption main image: Stone cladding with a water feature.